All designs use 2 antistatic devices. 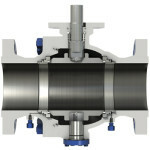 Manual body vent design allows safe relief of pressure prior to servicing. Manual body drain can be used to safely drain or flush the valve prior to being serviced or removed from line. 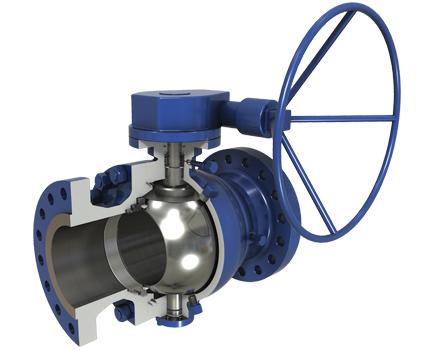 All trunnion ball valves are equipped with a locking device to API 608. For gear operated valves, this feature is included on the gear operator. 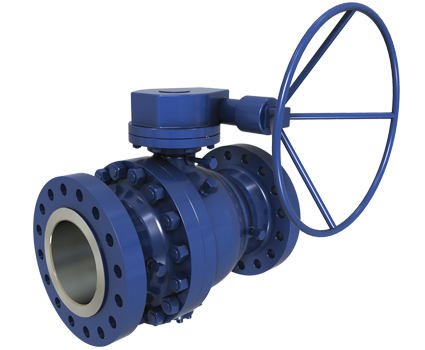 All Meridian™ trunnion ball valves are low emission capable due to the o-ring design. Standard trim in either full stainless steel or 3 mil high phosphorus electroless nickel plated for superior corrosion protection. 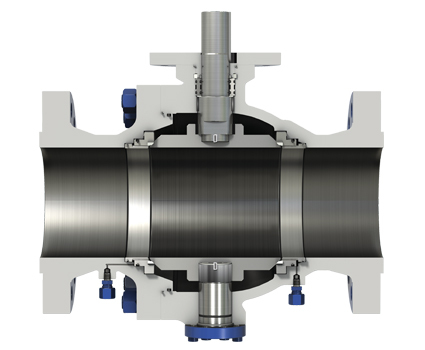 Seat sealant injection: Meridian™ trunnion ball valves include seat sealant injection systems. For smaller size valves where space does not permit body cavity injection is used instead of seat sealant injection. All seat sealant injection fittings include an internal check valve and another independent buried check valve beneath the injection fitting. 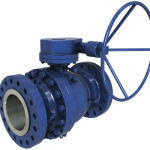 Should an injection fitting be damaged it can be replaced without the requirement of re-hydrotesting the valve. 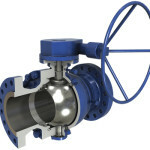 All valves are hydro-tested utilizing the check valve only (seat sealant injection fitting removed). This ensures check valve integrity. DBB – Double block and bleed design with self relieving body cavity per API 6D. Cryogenic design and a world class cryogenic test and design facility also available. Top entry, welded body and high temperature designs also available. For Canadian customers CRNs (Canadian Registration Numbers) are available for all provinces where required. Tagging is per the requirements of API 6D, MSS SP-25 and CSA Z245.15.